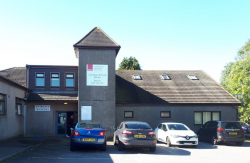 Breathe life into your self employed endeavours by working out of the Bettws Life Centre, a vibrant community hub that houses community spaces, meeting rooms, a cafe and library. Managed by a registered charity, the Awen Cultural Trust, the Life Centre’s coworking space is a first floor office comprising 3 desks with free wifi (supplied by The Cloud). Off-road car parking is available and the Life Centre is only 100 yards from a bus stop with frequent services from Bridgend town centre. Next door to the Life Centre is an independent registered nursery that can care for children from 6 weeks to 8 years old on a full or part-time basis. Indycube Bettws is open from 9am – 5:00pm Monday to Friday.